We’re back again with another DIY tutorial. Since Joann has been carrying a lot of great licensed fabric, like I mentioned here, I’ve been looking for ways to convert it into something fun. 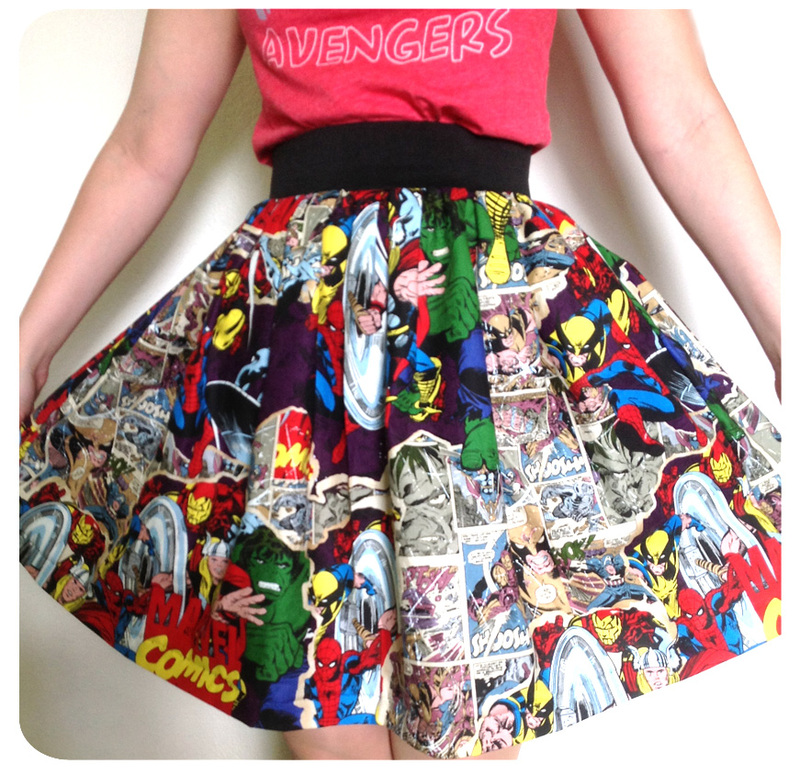 Once I bought this great vintage Avengers print, I knew that I had to turn it into a skirt!